Alabama played without its starting point guard and leading scorer, Collin Sexton, who sat out with an abdominal injury. But Petty more than made up for the loss. 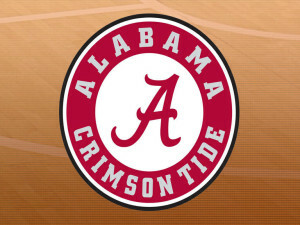 The freshman guard made eight of 13 3-point attempts and helped the Crimson Tide (12-6, 4-2 Southeastern Conference) surge ahead of Auburn with a 15-5 run in the second half. It wasn’t always easy for Alabama. Coach Avery Johnson’s team struggled to take care of the basketball without its primary ball handler. The Crimson Tide turned the ball over 12 times in the first half, just two shy of its average per game this season. On defense, it was Auburn guards Jared Harper and Mustapha Heron who forced the turnovers, generating four steals. Despite the sloppy play, Alabama’s 3-point shooting helped hide some of the mistakes. Petty, who took Sexton’s place in the starting lineup, knocked down three of his 3-point baskets in the first half to help Alabama keep the game close. Auburn (16-2, 4-1) was the better of the teams in the first half from long range, sinking seven of 15 shots from behind the arc, including a fader from Chuma Okeke at the first-half buzzer that gave the Tigers a three-point advantage into halftime. Another freshman contributing to Alabama’s second-half rally was Herbert Jones, who picked up his second foul of the game with eight minutes remaining in the first half, but returned to fill the stat sheet on both ends. The forward had seven rebounds, four steals, and four assists to go along with his 11 points. He scored the most crucial basket of the game, stopping the bleeding while extending Alabama’s lead to five in the final minute. Trailing by 10 with just under four minutes remaining, the Tigers were able to cut Alabama’s lead to two by holding the Crimson Tide to 11 points down that stretch. Bryce Brown scored a team-high 12 points for the Tigers. Alabama: Moves to 4-2 in the conference with its first win over Auburn in the last four tries. Auburn: Remains the top team in the SEC despite the loss. The Tigers will have another chance against the Crimson Tide at home in February. Alabama: will play its second straight conference home game against Mississippi State on Saturday. Auburn: returns home to play Georgia on Saturday before hitting the road again next week.